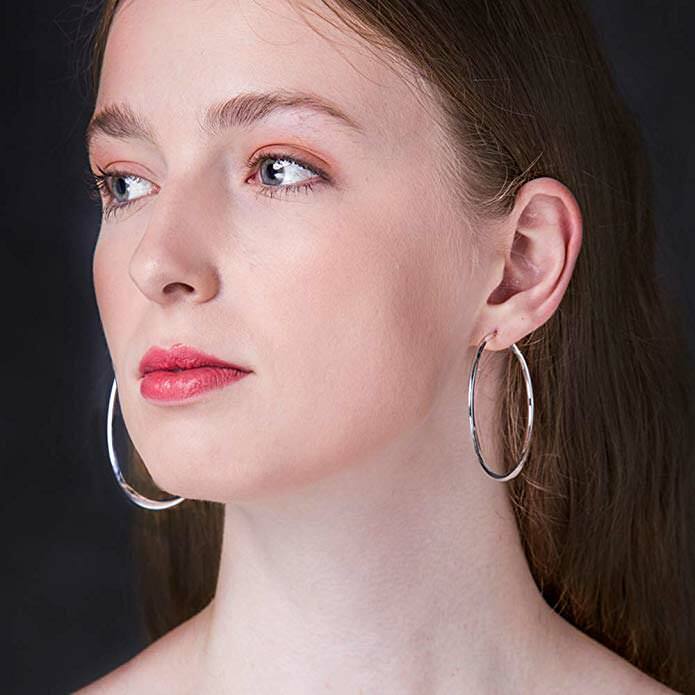 Large Hoop Earrings are right for pierced ears, easy and comfort to wear and take off. sturdy and solid clasp. Large Loop Earrings are right for pierced ears, easy and comfort to wear and take off. sturdy and solid clasp. There earrings are high grade environmental protection jewelry, Highly polished, it is shiny. Not allergies, Wear comfort , It's a Healthy Choice for Sensitive ears. This design is Sleek and Modern yet Classic and Elegant Style. fit for any occasion as daily wearing home and office. Carefully packed in beautiful jewelry bag. Absolutely a great gift to express your love for your mother, girlfriend, fiancee, wife, valentine, family or just a friend.